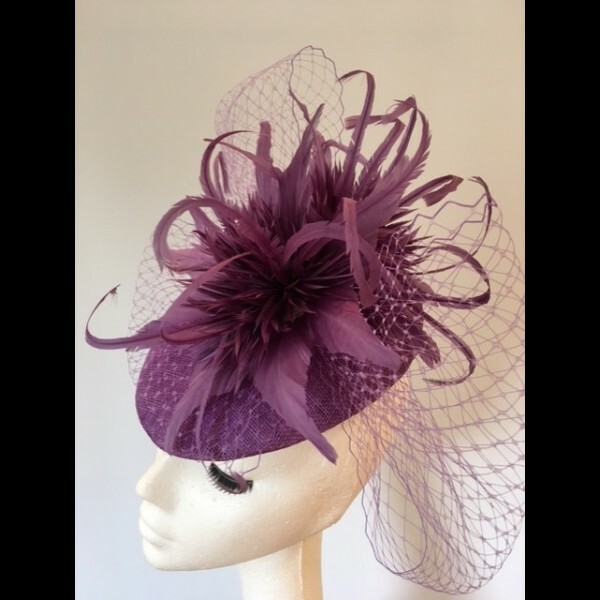 A shape much favoured by the younger Royals - a cap shaped percher in a lovely Iris hue. Available to hire. 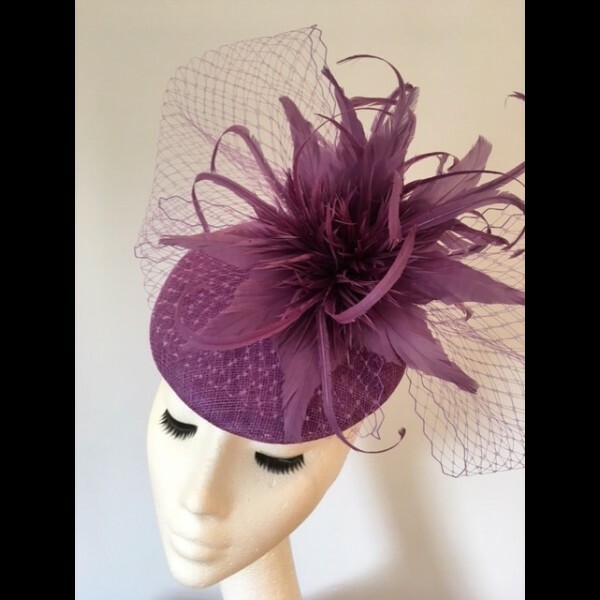 A lovely iris coloured sinamay has been used to create this neat cap shaped headpiece. 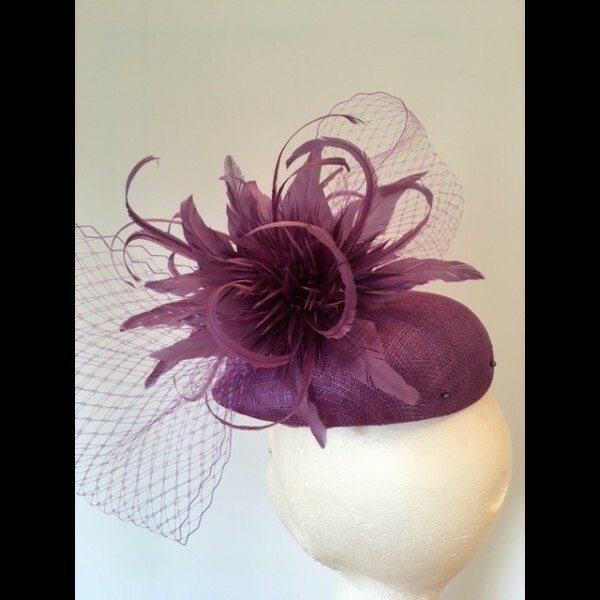 Fastened with elastic that fixes around the back of the head. 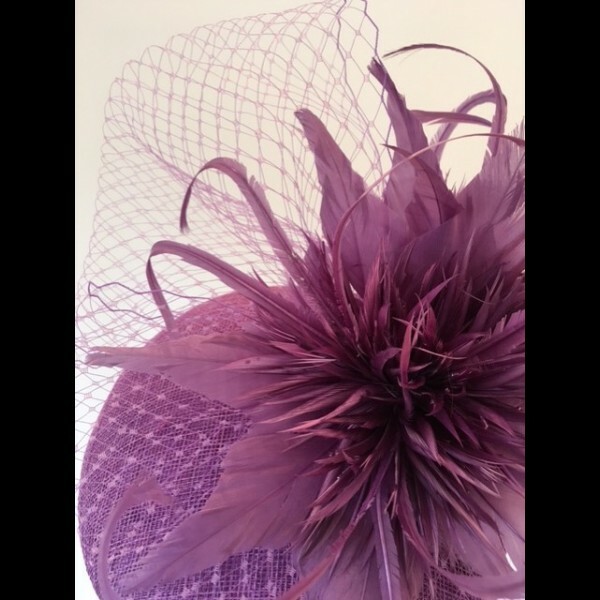 Two opulent feather flowers and a puff of veiling complete this headpiece. The price quoted is for the hire price of the headpiece.